First: Review algorithm updates / other AHA/ILCOR science changes. Pass online test. Get provider card. Second (optional): Complete a skills test at a local testing center or with a supervisor at your current company. Receive a completed skills form. Our course includes everything you need to learn for your required job training. Also, this course respects that you are a health care professional who has done this course before! So we make it simple by putting the new material first and then reinforcing the concepts as you go. Everything is broken into sections and you can study at your own pace. There is no time limit, it is just simple web pages that you can pull up from anywhere. This course is fully accredited for physicians and nurses. Our course is eligible for CE credit. We fully guarantee that your card from us will be accepted at any hospital or medical center. We have a full money-back guarantee with our course that extends 60 days from date of purchase. We know ACLS can be stressful! Do it in the privacy of your own home and don't be afraid to ask questions! We want you to enjoy this course and LEARN. You have three attempts to pass the exam and you can also call or email us with questions. 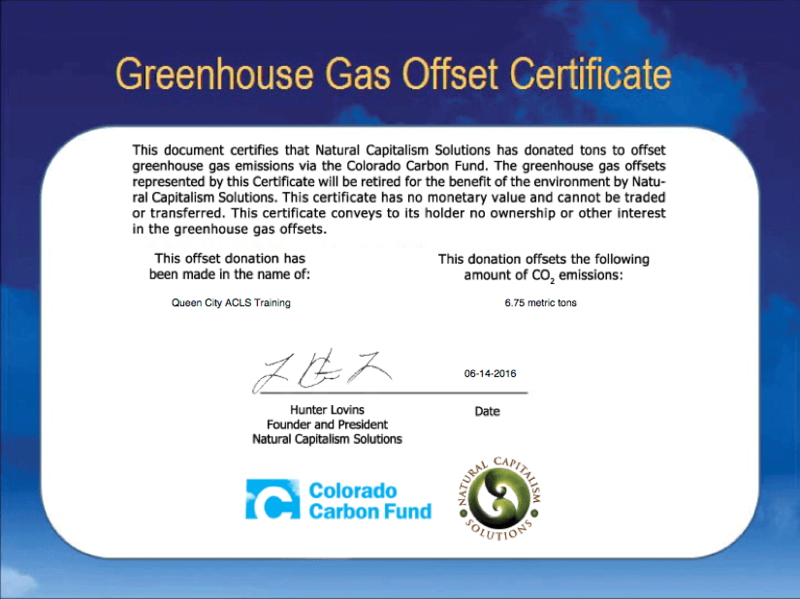 NEWS UPDATE: We are now proud to be a carbon-neutral business and support of the Colorado Carbon Fund. See our sustainability certificate below. Remember that all licenses expire on September 30th of odd numbered years! You can renew your license at the Colorado Division of Professions and Occupations Online Services page. Also, keep in mind that Colorado does not require CE credit for relicensure, however your medical facility might! Keep us in mind should your employer require ACLS, BLS or PALS. 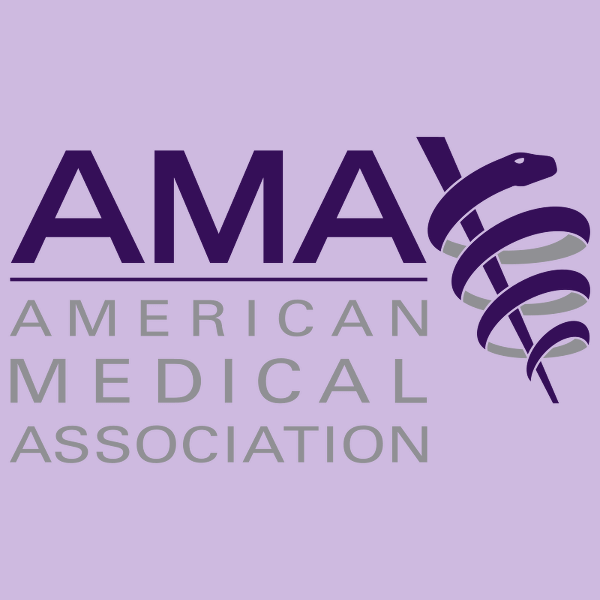 Did you know that physicians applying for relicensure in Colorado do not require CME? Visit the Colorado Medical Board: Laws, Rules and Policies page and read the Medical Practice Act PDF, section 12-36-123 for more details. Your medical facility very well may still require it though! Check with your employer to see if they require CME! If you have been out of practice for a while, you may want to consider taking a refresher course. You can visit the Colorado Refresher Course Offerings page for more information. There are various qualifications for working as a pharmacists in Colorado and Queen City ACLS has the accredited courses to ensure you meet those qualifications. According to the Department of Regulatory Agencies State Board of Pharmacy Rules a pharmacist may qualify via the "Completion of at least 40 hours of ACPE approved continuing education regarding clinical practice and 40 hours of onsite supervised clinical practice and training in the area in which the pharmacist is choosing to practice." 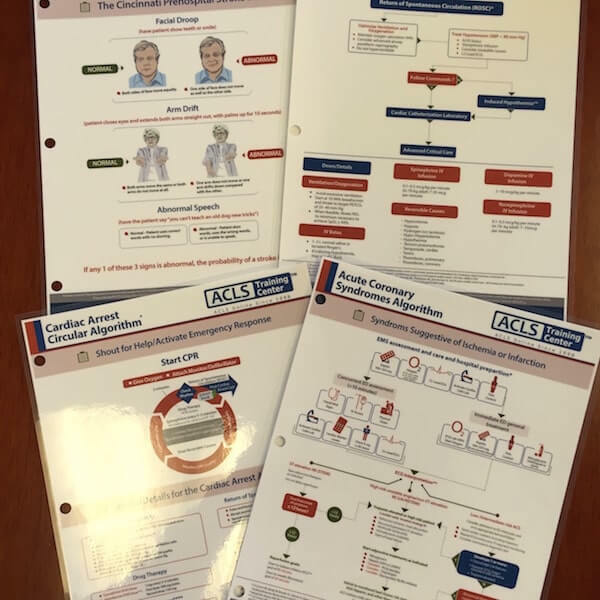 Our ACLS, BLS and PALS courses are approved by the ACPE. Tatoo artists require an "Infectious Waste Management plan, consistent with CRS 25-15- 401, including segregation, identification, packaging, storage, transport, treatment, disposal and contingency planning for blood spills or loss of containment of Infectious/Regulated Waste." according to the Rules and Regulations for Body Art Establishments. Contingency planning for blood borne pathogens is covered in our blood borne pathogen course! Call or email us for more information.